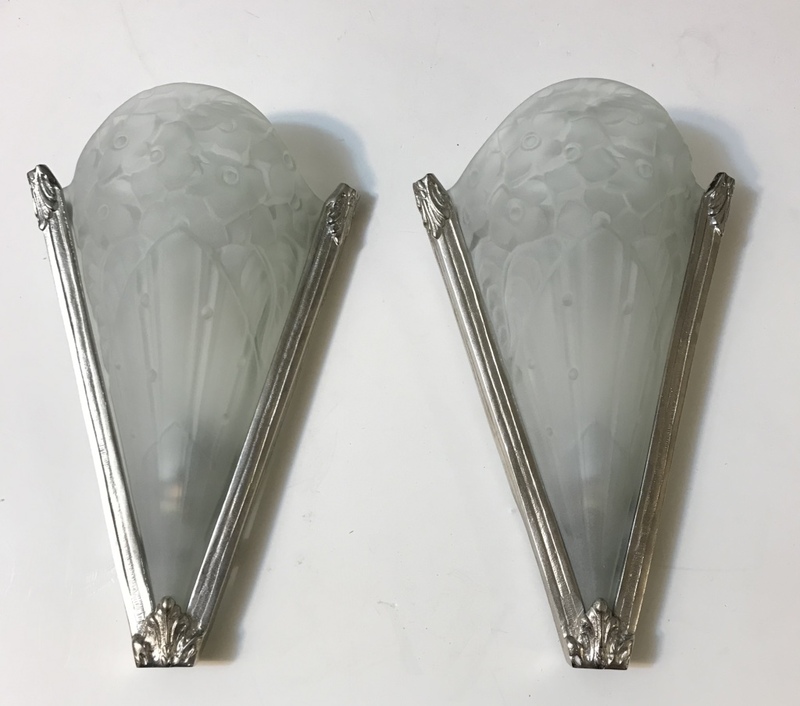 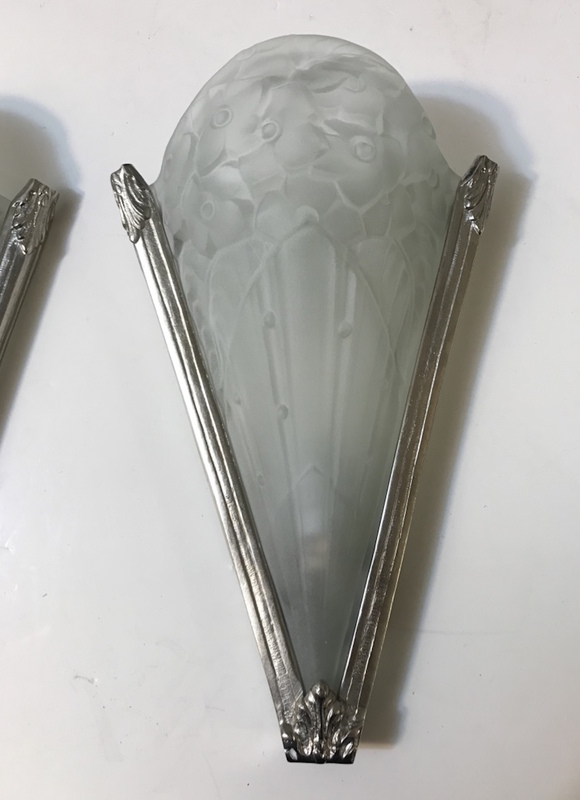 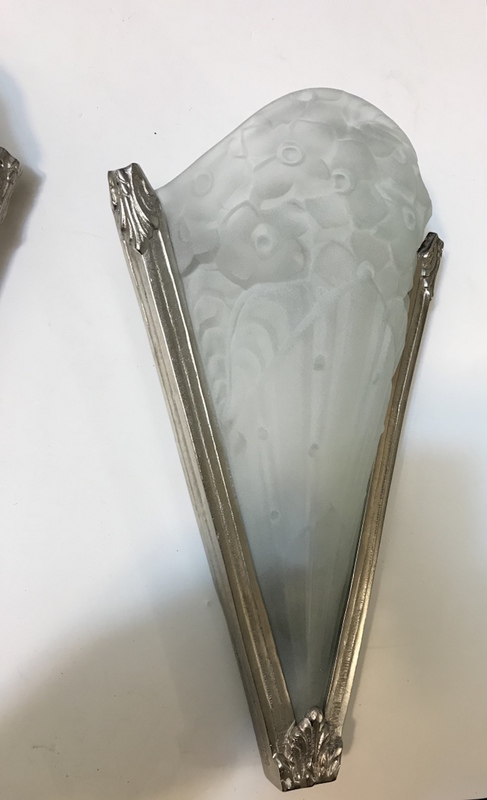 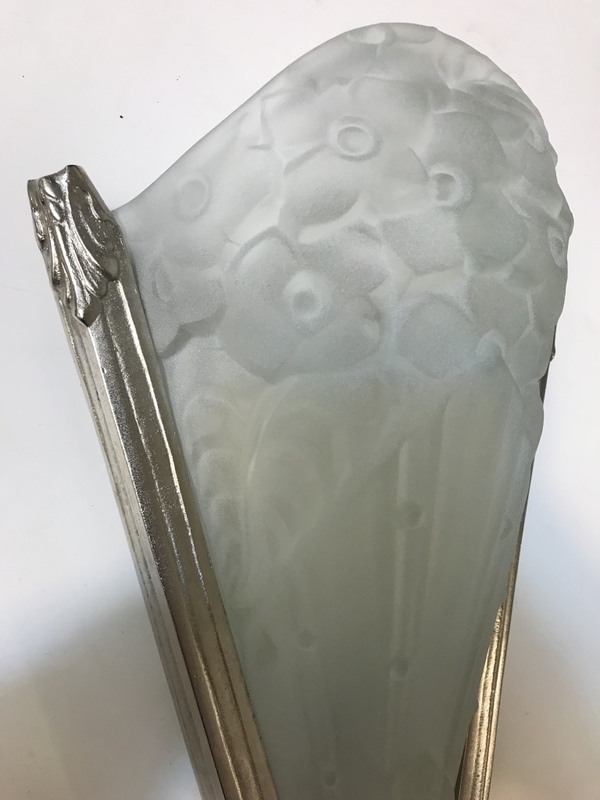 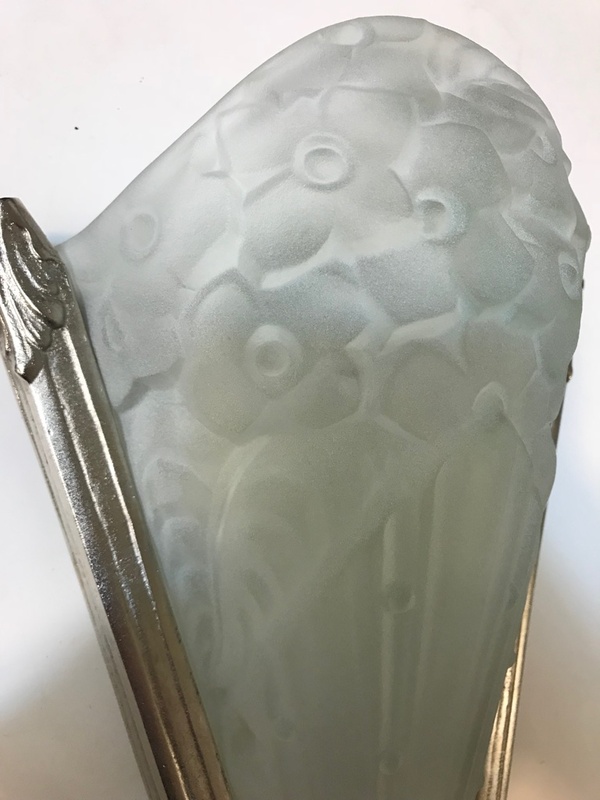 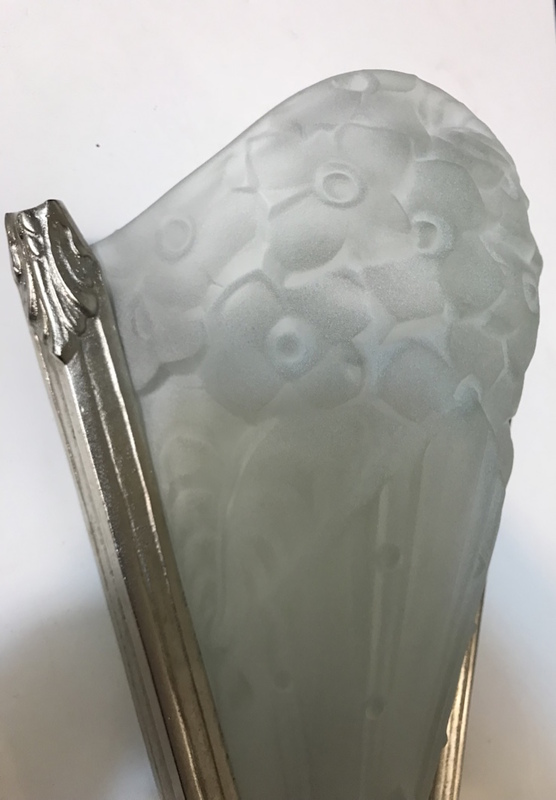 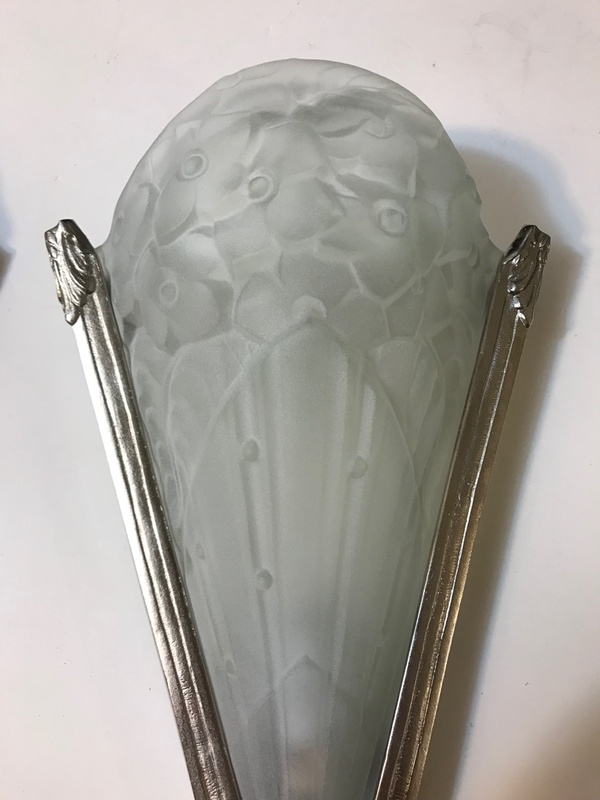 Beautiful pair of French Art Deco wall sconces. 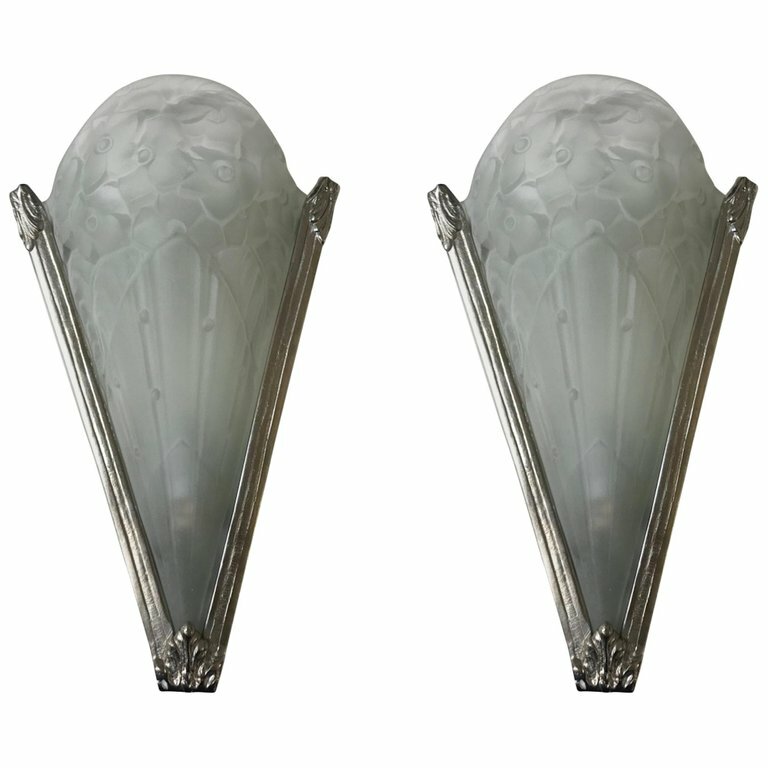 With frosted glass shades with intricate geometric and floral motif. 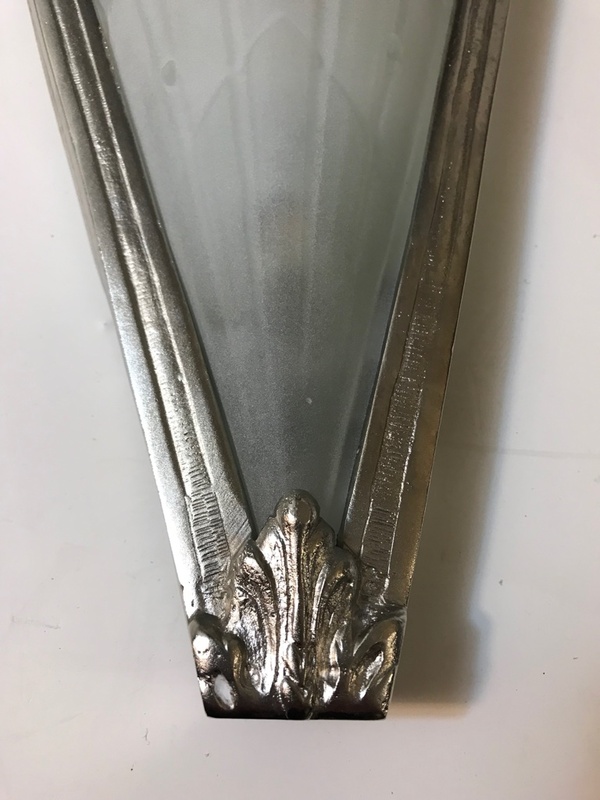 Held by polished nickelled design frames. 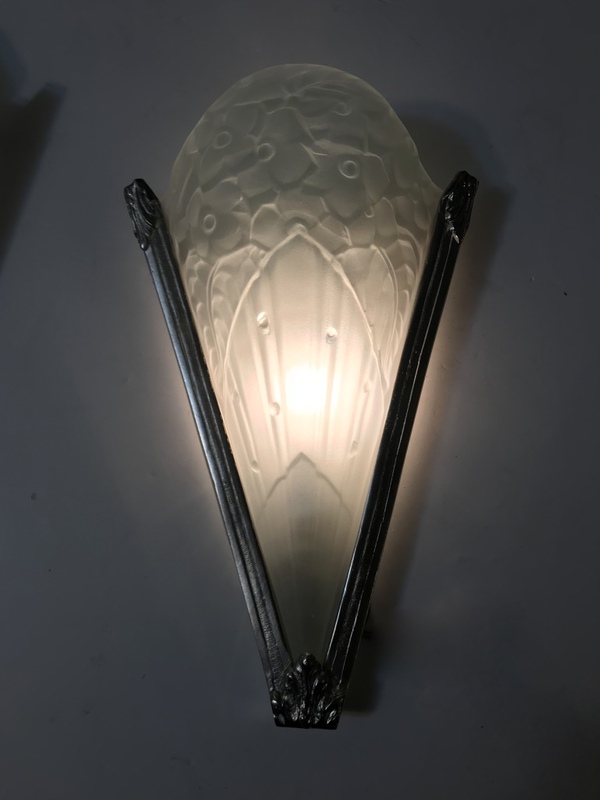 Each Sconce takes one candelabra socket, has been rewired for American use.